Apartment hunting can be a tiring and nerve-racking process. Everyone has heard their fair share of horror stories, and it seems like you never know what you are going to get until you sign a lease. One important part of the process that can help ease apartment hunters’ anxiety is to get to know potential landlords or property management as well as possible before signing a lease. When you visit your chosen units and meet the management, bring a notepad and this list of questions to ask before you rent your next home. Click here to print a checklist of questions to ask when renting a home. What are all the additional costs associated with living in this apartment? What is included in the rent? Some additional costs you may incur as part of the rent or on top of it include parking, water, trash, sewage, internet/cable, pet fees, and electricity or gas. “Power included” can mean that it’s included in your rent, or just that you are not responsible for finding a provider but will still pay the electric bill. What fees will be paid upfront/before I move in? Are any of the fees refundable? Some upfront costs include an application fee, security deposit and the first and last months’ rent. What is the pet policy and associated fees? Will there be pet rent, a pet deposit or any other fees for having a pet? What are the weight or breed restrictions? What is the guest policy? How many nights are guests allowed to stay? Do you require renter’s insurance? What are the coverage requirements? Is there an insurance company I am required to use? What is your noise policy and quiet hours? What modifications are not allowed inside the apartment? Can I paint, mount a television or curtains, etc.? Do you allow residents to smoke on the premises? What is your policy on belongings kept on the patio? Can I store a bike, storage bin, mini fridge, etc.? 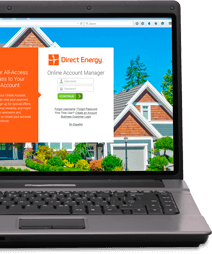 Do I set up my own utilities and internet? Is the Wi-Fi shared or individual? Shared Wi-Fi could mean you don’t get to choose your internet plan and might get stuck with slow internet chosen by the complex or building. What steps (if any) have been taken to make the apartment more energy-efficient? What is the average electricity, gas and water bill for a unit of this size? How is trash and recycling handled? Is there valet trash or a nearby dumpster? Does this apartment use gas or electricity for heat? Depending on where you live, one utility could cost less than the other. Is heating and cooling individually controlled? Are utilities charged to individual apartments or averaged between residents? In many cases, you pay less from having individual utilities if you are mindful about your usage. What walls would I share with my neighbors? Does their living room share a wall with my bedroom? If your neighbors have a different sleep schedule than you, you may hear noise from their living room at inconvenient hours. Are window coverings and/or furnishings included? What appliances come with the unit? Are there connections for a washer and dryer or onsite laundry facilities? How long ago were appliances installed? How old are they? Is there a history of mold problems in this unit or the complex? How old is the building/unit? When, if ever, was it last renovated? Will the unit be painted, cleaned or sprayed for pest prevention before I move in? How long has the unit been empty? How old is the wiring? Can I rent extra storage units onsite? How much would one cost? Where are the storage units located? Do I have a designated parking spot? If so, what happens if someone takes my spot? Is there covered or garage parking available? What is the parking policy for visitors? What is average amount of time people live here? What is the typical renewal rate? If the general renewal rate is low, there might be a reason why. Where can I file a complaint about a resident not following policies? How are these complaints handled? What is the most common complaint by residents about other residents? Do you show apartments that have current tenants? How much notice will I get if you show mine? What types of people live in the complex? What is the typical age range and occupation? Are residents mostly families, single or retired? Does management organize any community events? What amenities like pools, dog parks, gyms and business centers are available in the community? Can my guests use these facilities? What are the hours for these facilities? How often do you update the community facilities? 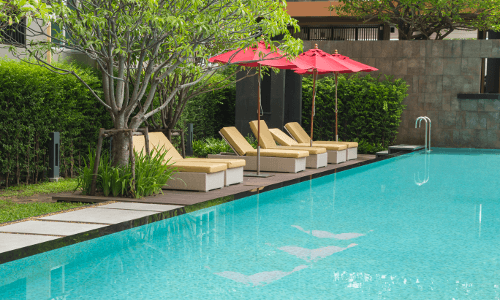 How often is the pool cleaned? Are there any facilities I can reserve for a private event? How can I submit a request to have the facilities cleaned or updated? Is there a community page or other ways for residents to communicate? Are there community baby-sitting services? Are there plans for construction in or around the complex? Some construction is only done during work hours, but sometimes work is done early in the morning and on weekends. Are packages received by the office/front desk or will they be delivered to my door? Can I direct delivery to the office if I am not home? Have you had any car or apartment break-ins in the past year? How did you address them? What is the most common safety complaint of residents? What is your policy on grills, candles and other flammable items in the units? How often do you perform safety maintenance on the appliances? Is the lint cleaned out of the dryer ducts regularly? How often are batteries replaced in the smoke and carbon monoxide detectors? What are the in-unit security options? Can I have a deadbolt installed if one is not already present? Are there options to install a security system? How can I verify that you’ve changed the locks between residents? Who handles maintenance requests? The resident, an outsourced company, internal employees? Who is responsible for outdoor maintenance like snow shoveling, landscaping and cleaning gutters? Who is responsible for replacing air filters and lightbulbs? Who handles pest control? Do you have a company spray regularly? What are your most common pests? How do I submit a work order? Are there options for making requests online or over the phone? What is the normal response time for a non-emergency request? What qualifies as a maintenance emergency? What is the guaranteed response time, if any, for emergency maintenance? What maintenance issues, if any, will I be financially responsible for? Some landlords require you to pay for a clogged toilet, pest infestation, or the cost to fix an appliance. What are your most common maintenance requests? Does maintenance or pest control ever enter apartments without giving notice? 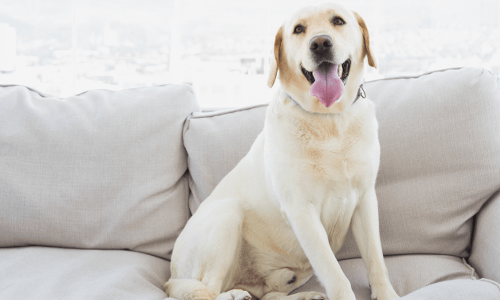 What do I need to do with my pets if maintenance or pest control comes when I am not home? Who do I call if I get locked out of my apartment? Is there a fee for someone to let me back in? Must I be present in my apartment for a maintenance technician to fix an issue? How much notice do you give before you enter the apartment for inspections? What were the rent increases over past three years? Does each roommate get a separate lease? Will roommates pay separately or together? If you are under the same lease, you may be liable for your roommates’ failure to pay rent. When is rent due? Is there a grace period? 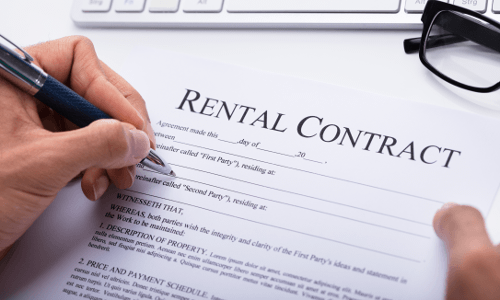 What are the payment options for paying rent? What are the penalties for late payment, return check charges, etc.? Are there any move-in specials on rent or gifts for new tenants? Do I get reduced rent if I refer a friend? What are the lease duration and pricing options? What is the application and screening process? Good landlords will have you fill out an application and pay a fee, which is used to run a background and credit check. If they don’t check your credit and background, it could indicate they’re only looking to make a quick buck and they probably don’t perform these checks on other residents. When do I pay the security deposit and other fees? Be wary of landlords who require you to pay a deposit or rent before you and the landlord have both signed a lease. When are you looking to fill unit/when will it be available? If I must break the lease due to an emergency, job change or other circumstances, what are the consequences/options? Is subletting an option? After the lease ends, do I need to move out or will I roll over to month-to-month? What is your move-out notification policy? How much notice do I give if I move out of the complex, or to another unit in the complex? Is there a cosigner required on my lease? Can I move another person into the unit mid-contract? What is the screening process for the new resident? How many others have already applied for this unit? How long have you been in business? Do you manage other properties? Where can I submit complaints about management or maintenance, if I have one? Does a maintenance or property manager live onsite or nearby? Does the landlord have a backup contact in case of emergency if they go on vacation? It can be exhausting to both ask and answer all these questions on your visit, so don’t hesitate to send a follow-up email or set up a second meeting or call. You deserve to know as much as you can about your potential home before you bind yourself to it, and a good property manager will be willing to provide you with answers. Happy hunting!